​The ​best ​vitamin C ​supplement is a nutritional powerhouse that is not only essential but also delivers a daily dose of antioxidants that keep you healthy. Although you can try to get the recommended daily amount in your diet, it’s smart to consider using the best Vitamin C supplement to ensure you get your daily allotment. If you want to boost your immune system and repair daily damage to your system, you’ll want to select an option that’s well rated, affordable, and gets the job done. There are hundreds of options out there to choose from, including products that are all-natural, synthetic but highly bioavailable, and those that are buffered to make them easier to digest. In this guide, we’ve included our top picks for each category and information on why each supplement gets our vote. 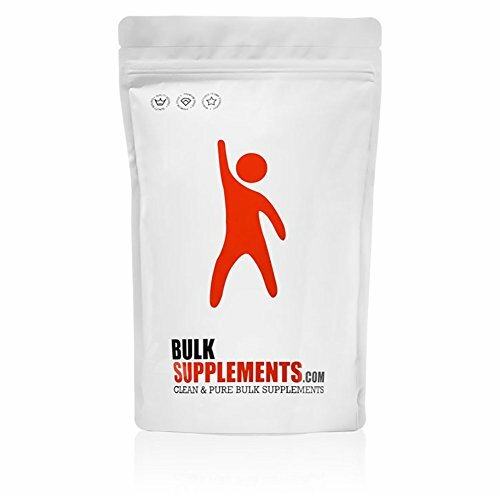 Our highest-ranked option is the Vitamin C Crystallized Powder by Bulk Supplements. The ingredients label tells the whole story here, and it only has one listed: Ascorbic acid, which is Vitamin C in its purest form. Independent testing labs who do third-party analysis back their purity and potency claims. One example is Labdoor, who also requires products that they review to meet the Good Manufacturing Practice (GMP) standards. It’s also a GMO-free choice. ​This water-soluble formal is easy to take, and you can tweak the dosage to meet your individual needs. Since you buy it in bulk, it costs only one to two cents per serving, and with proper storage, it will stay fresh and effective until its expiration date. Alive! 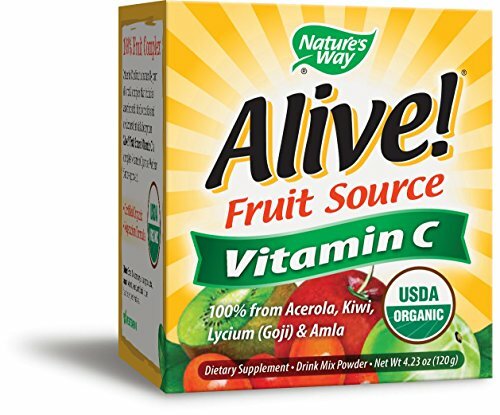 Fruit Source Vitamin C is complete Vitamin C just as Mother Nature grows it. This potent fruits deliver 500 mg of Vitamin C per teaspoon and also contain 15 calories per serving. The product doesn’t have any fillers like soy, dairy, corn, artificial flavors, preservatives, or colors. ​This is one of the more expensive supplements included on our list, running around $0.50 per serving. Powdered supplements aren’t for everyone, and measuring out a daily dose can be difficult if you travel or take your supplements when you’re not at home. If you prefer a tablet form, Doctor’s Best Vitamin C comes in a 1,000 mg dose of ascorbic acid delivered through their patented Quali-C formula. It has very few filler ingredients used to make the capsule, and they are vegetarian and vegan-friendly. You also won’t find any GMO products, soy, or gluten in the product. ​Because it includes a high dose per pill, you only need to take one per day, and this option costs around $0.11 per serving. 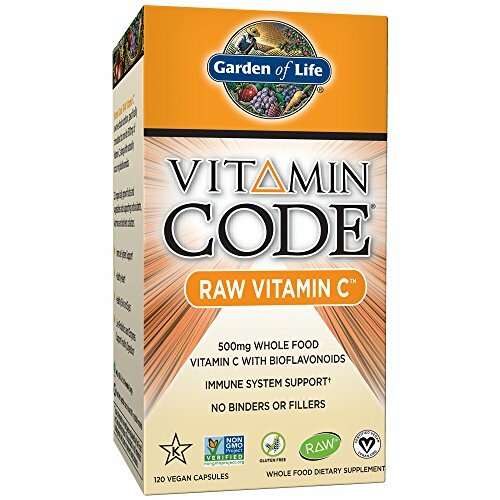 If you have a sensitive stomach or find that taking a large dose of Vitamin C causes tummy issues, Garden of Life’s Vitamin Code Raw C Vitamin Whole Food Supplement might be the right choice for you. It delivers 500 mg of Vitamin C per pill derived from whole-food sources. They blend this with a probiotic compound the includes 23 different fruits and vegetables to help make the capsule easier to digest. The pill uses all raw, organic, whole-food sources and is free of gluten, dairy, GMO as well as fillers and binders. ​As with other whole-food based supplements, this option is one of the more expensive. 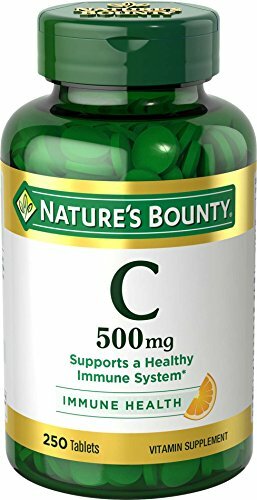 It runs around $0.20 per pill or $0.40 per day to get 1,000 mg.
Another tablet option, Nature’s Bounty Pure Vitamin C-500 is a more affordable alternative to the Doctor’s Best Supplement. It’s also a synthetic ascorbic acid option, and the company meets all of the GMP quality standards. A vegetarian-friendly choice, you won’t find any artificial colors, flavors, preservatives or sweeteners in this vitamin. It also doesn’t have any sodium and is suitable for those with soy, wheat, or shellfish allergies. ​It costs around $0.04 per serving, but you’ll need to take two capsules daily to hit the 1,000 mg mark. Although it doesn’t contain any harmful fillers, it also has more ingredients than some of the other more highly rated options on our list, though not as many as some of the gummy or drink-mix counterparts. If mixing up a daily powder or swallowing a pill is too difficult to add into your routine, an alliterative is a Vitamin C gummy product. 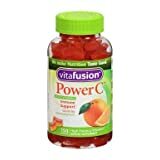 Vitafusion Power C Gummy Vitamins for Adults are a crowd favorite, thanks in part to the way they taste. From a nutritional standpoint, they have less Vitamin C than a traditional tablet and include 240 mg per gummy. This is important to consider as you’ll need to take around four daily to hit the recommended dose, which can add up regarding cost. They deliver Vitamin C via both ascorbic acid and sodium ascorbate, and the ingredients list does include things like sugar, sodium, gelatin, and colors and flavors. If you’re allergic to nuts, eggs, soy, or shellfish you’ll want to steer clear as these are manufactured in a facility that also processes those substances. ​Despite these drawbacks, these gummies are delicious. Not only do they taste like candy, but they also cost around $0.08 per piece, which means you can get your daily dose of Vitamin C for around $0.32 which means they are not the most expensive supplement included in our list. ​This water-soluble formal is easy to take, and you can tweak the dosage to meet your individual needs. ​This potent fruits deliver 500 mg of Vitamin C per teaspoon and also contain 15 calories per serving. 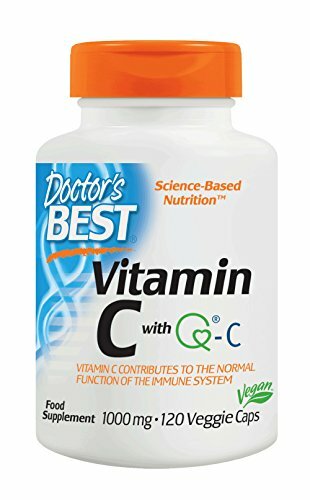 ​If you prefer a tablet form, Doctor’s Best Vitamin C comes in a 1,000 mg dose of ascorbic acid delivered through their patented Quali-C formula. ​It delivers 500 mg of Vitamin C per pill derived from whole-food sources. ​Nature’s Bounty Pure Vitamin C-500 is a more affordable alternative to the Doctor’s Best Supplement. 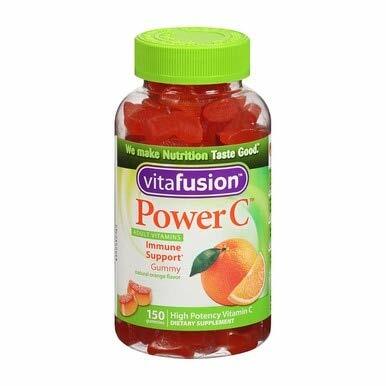 ​Vitafusion Power C Gummy Vitamins for Adults are a crowd favorite, thanks in part to the way they taste. Narrowing down the hundreds of different options to get to our top nine picks for the best Vitamin C supplement wasn’t easy. We started by searching for products that are easy to find online or in stores, and narrowed it down to include contenders in powder, pill, tablet, gummy, and drink mix forms. Next, we scoured the ingredients labels to eliminate anything that had questionable chemicals, artificial ingredients, or proprietary blends that make it difficult to determine the potency and efficacy of the product. ​Finally, we chose supplements that give you an excellent bang for your buck and deliver high-quality Vitamin C that’s affordable to take in a daily dose. ​Narrowing down which of the best Vitamin C supplements and best calcium supplement ​are right for you can be tricky if you don’t understand what they can do, what to look for, which type works best, and the correct daily dose. Here, we’ve outlined some important information to help you narrow down your list. Your daily dosage requirements of Vitamin C depend on what results you’re looking to achieve. The RDA is only 100 mg per day, but to treat or prevent disease and health conditions, or deliver results like the scientists did in the studies above, you’ll need to ingest significantly more. For example, if you want to prevent or cure a common cold, a minimum of 200 mg daily is recommended. For cardiovascular disease or macular degeneration, a minimum of 500 mg is required. We highly recommend that you research the specific benefits you’re interested in achieving to determine the daily dose that’s right for you. However, it’s possible to get too much of a good thing. The Mayo Clinic and other experts recommend you never exceed 2,000 mg of Vitamin C per day, and that includes what you get through your daily diet. ​What’s the Best Type of Vitamin C? The best fiber supplement and ​Vitamin C supplements are manufactured in a variety of ways, and experts don’t yet have a consensus on whether ascorbic acid, naturally derived ingredients, or mineral ascorbates are the clear winner. Supplements that include natural or synthetic ascorbic acid are chemically identical, which means your body uses and processes them the same way. Mineral ascorbates are usually marketed as being easier to digest and not as hard on your stomach, though researchers at the Linus Pauling Institute haven’t found any scientific proof that supports that claim. To that end, we recommend you pick whichever Vitamin C supplement meets your nutritional needs and fits best with your budget as they are all very comparable. ​There are a few additional factors to consider that will ensure you’re getting a high-quality product that will improve your health. Here’s what to look for. It’s widely known that the FDA doesn’t provide any regulation on dietary supplements making it hard to know for certain that you’re getting what you pay for. Thankfully, there are several third-party laboratories that offer testing to supplement manufacturers that will certify the purity and integrity of their products. The ​best vitamin D supplements will have a third-party certification from an organization like Labdoor, Consumer Lab, the National Sanitation Foundation, or the United States Pharmacopeial Convention. ​Certifications from one of these organizations will ensure two important things. First, you’ll know that the product that you’re purchasing is pure. It’s not uncommon for Vitamin C supplements from sub-par manufacturers to contain harmful ingredients. If you want to ensure that you aren’t consuming heavy metals like arsenic, mercury, lead, or cadmium, testing is a must. Also, these labs check to ensure that the product is labeled accurately. This is important when it comes to dosage as products that have less (or sometimes more) than listed of their active ingredient make it impossible to supplement appropriately. ​Vitamins that fall within an acceptable margin will ensure that you get the benefits you desire without running the risk of going over the 2,000 mg daily limit. A common trend in Vitamin C supplements is adding extra ingredients that have purported additional benefits like rose hips, timed-release capsules, or bioflavonoids. The product marketing claims it makes it easier for your body to absorb the Vitamin C, but they often aren’t worth the significant extra cost for the ingredients. Freshly harvest rose hips are an excellent natural source of Vitamin C, and for that reason, they are often added to supplements and marketed for their potency. But, there’s a catch. To use them in vitamins, they first need to be dried and processed, which reduces their efficacy. ​Not only are they nearly worthless in their dried form, but some research suggests that one of the flavonoids found in the compound may inhibit how well your body absorbs Vitamin C. This is one additive that’s not worth the sometimes significant price tag. 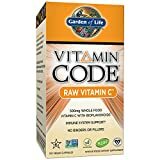 ​Time-release formulas market that they slowly release the supplement over time which allows you to absorb the maximum amount of Vitamin C possible. However, research shows that a slower release won’t change the rate of absorption, and isn’t worth the extra cost. ​Another supplement buzzword that gets a lot of hype is bioflavonoids. These antioxidants are marketed as a way to maximize absorption rates, but little evidence exists to support the claim. Not all vitamins are created equal, and not everyone has the same supplementation needs. In this guide, we’ve made suggestions on the best Vitamin C supplement to fit a variety of needs and lifestyles to help you narrow down your options. ​Remember that eating a healthy diet is the first step to maximizing your benefits, and it’s always smart to talk with your doctor before you add anything new to your daily routine.